"Asparagus, water chestnuts, eggs, and pimentos combine to create a colorful dish." Preheat oven to 350 degrees F (175 degrees C). Grease an 8-inch square baking dish. Arrange asparagus spears in the baking dish. Mix mushroom soup, eggs, mushrooms, water chestnuts, and pimentos in a bowl; pour over the asparagus. Bake in preheated oven for 20 minutes. 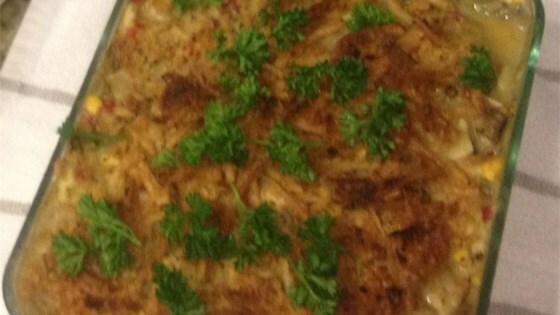 Top casserole with French-fried onions and continue baking until the onions begin to darken, about 10 minutes more. Awesome alternative to the standard green bean casserole with a lot of oppurtunity yo be creative.. Family loved it.